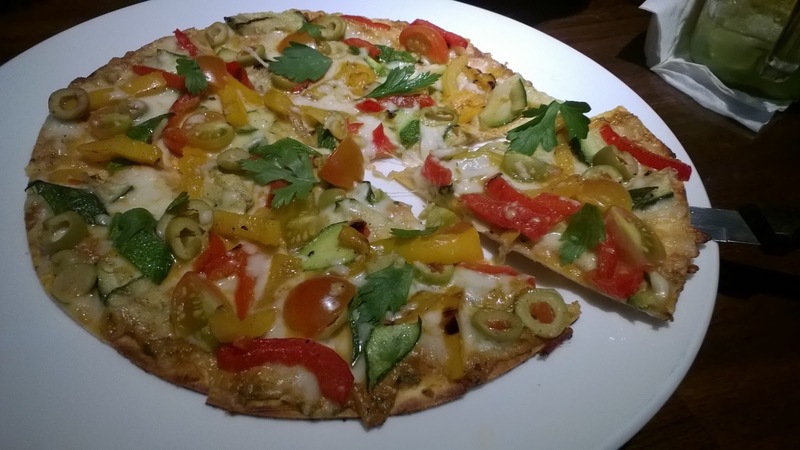 The world is on your plate again at California Pizza Kitchen, fondly known as CPK. 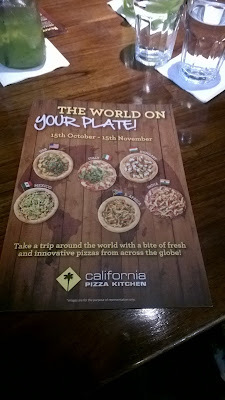 Pizza trails is back with 10 different pizzas from different countries for a month long festival. 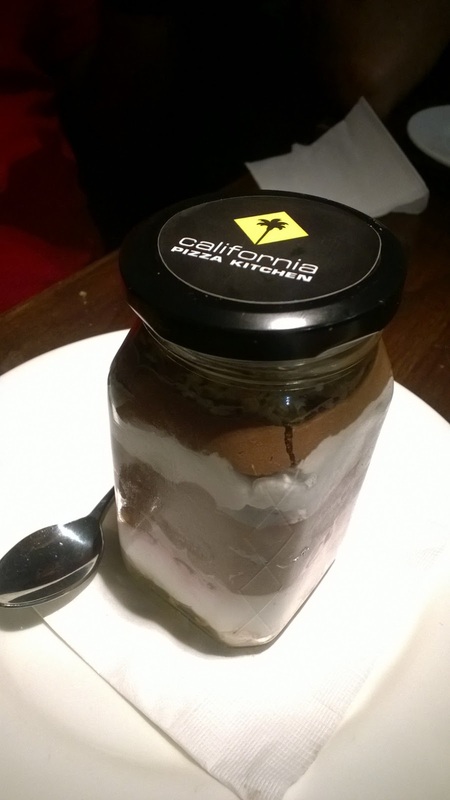 I was honoured to cover this festival again at CPK, Indiranagar outlet which is my favourite outlet too. 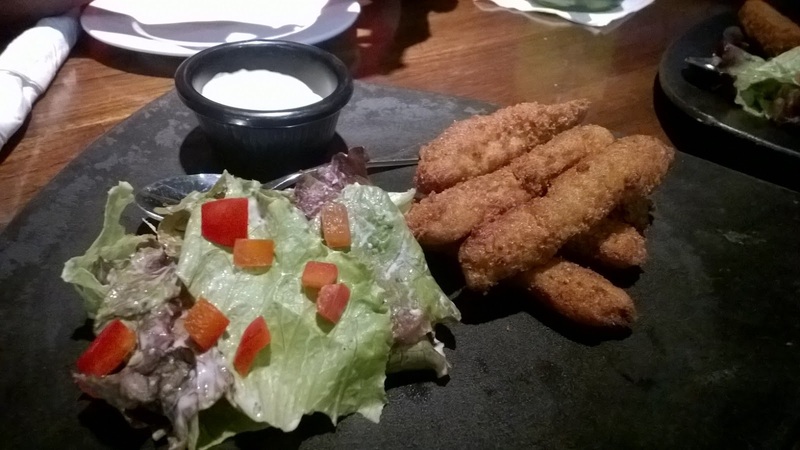 After a hectic day, all I need is good food to unwind. Stepping in for dinner, I started my evening Kiwi Mojito which had fresh Kiwi’s, lime and mint. The cocktail version of this had Bacardi which was enjoyed by others. 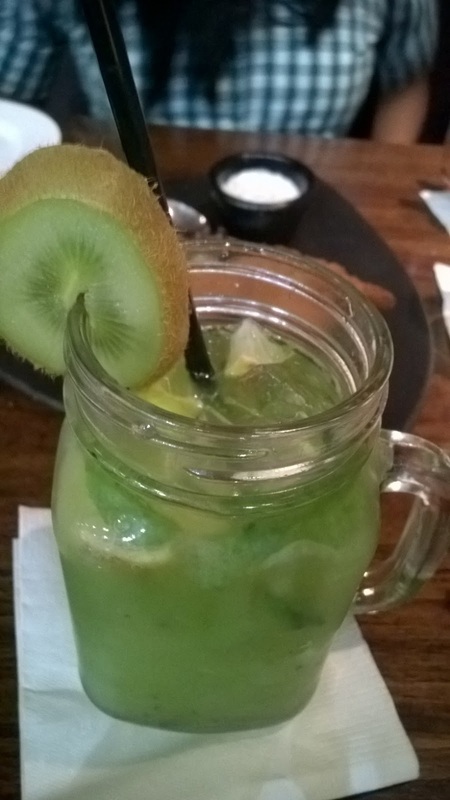 For a refreshing drink, I preferred Kiwi Mojito. I also tried Blue Horizon and Melon Duo. 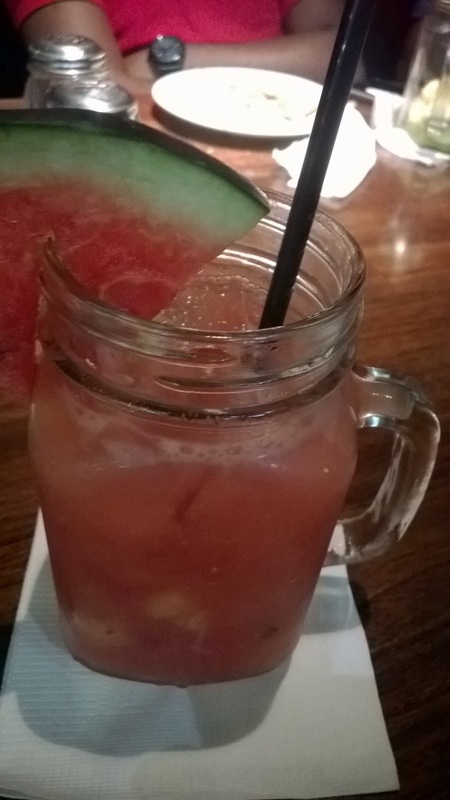 Melon duo had watermelon and musk melon mixed but musk melon overpowered the taste and I did not like the mix. Blue Horizon was another refreshing drink with a blend of crushed lychee, orange juice and lemons with a splash of ginger ale and blue curacao. Tried all the 4 starters from the festival menu. Starting with Charmula fried fish which were Charmula marinated fish fingers served with lime cream sauce. I enjoy fish fingers a lot. 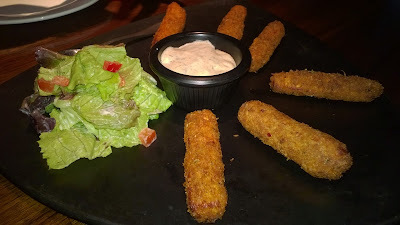 For veggies, they have an option of Harissa fried cottage cheese which was served with ranchito dip. The name clearly says that it is Harissa marination. I preferred fish over cottage cheese. 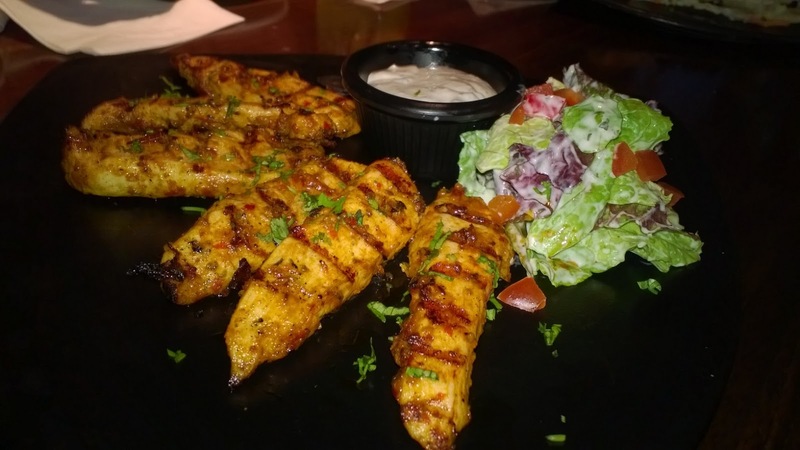 Next was Lebanese grill chicken, which was grill chicken in a Lebanese style chili marination. This should be had with ranchito dip. I expected this to be spicy but it wasn’t. Mexican veg wrap was last appetizer served which was my favorite. 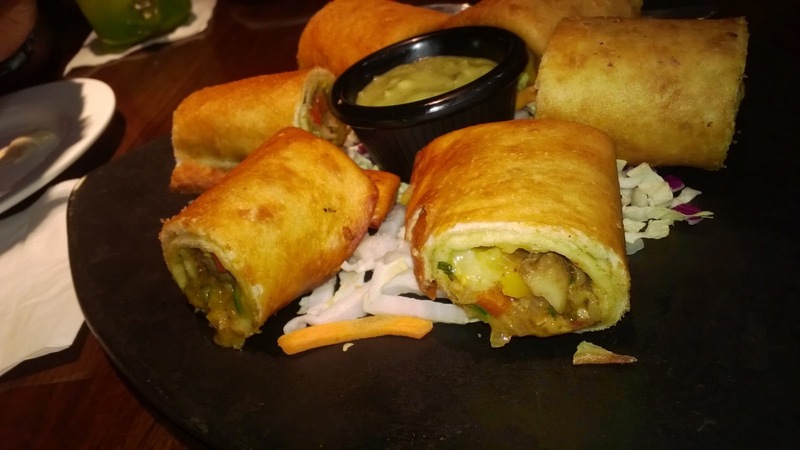 A Mexican inspired wrap with fajita spiced vegetable served with their homemade green chili sauce. The taste of the wrap was superb and the green chili sauce added to the spice. It was time for pizza’s to flow in. It was a tough decision to choose few pizza’s out of the 10 available pizza’s, but left the choices to the manager whose recommendations always work for me. Started with Romesco Pizza which had Romesco sauce on crispy thin crust dough topped with roasted peppers, zucchini, green olives, cherry tomatoes garnished with chopped parsley. 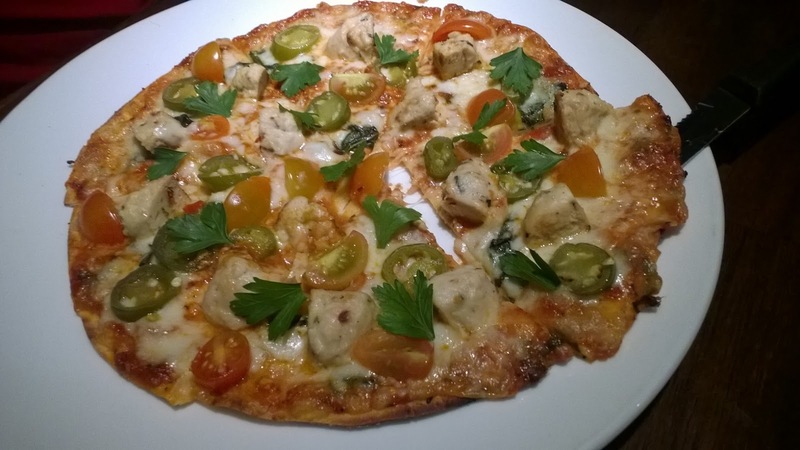 I have had Romesco pizza earlier which was my favorite during my last visit and this was a different version to it with more ingredients, nevertheless I still liked it. Non veg pizza had to be next so it was Zesty meat ball pizza which had zesty chicken meat balls on a crispy thin crust with spicy marinara sauce, basil, jalapenos and cherry tomatoes. This was pleasantly different but not spicy as I had expected. Peri peri pizza was next which is highly recommended. 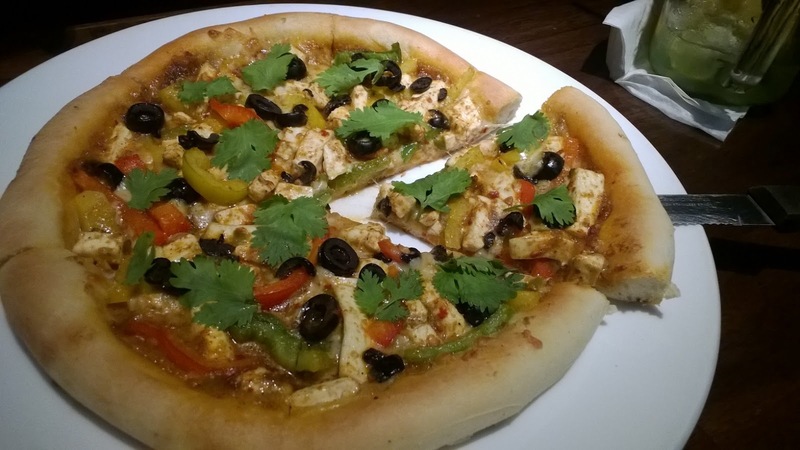 A traditional crust which has a South African twist with mushroom peri peri sauce topped with bell peppers, black olives and cottage cheese finished with cilantro. After a dose of jalapenos and cherry tomatoes in earlier 2 pizzas, this was refreshing with different spices and surely became my favorite for night. 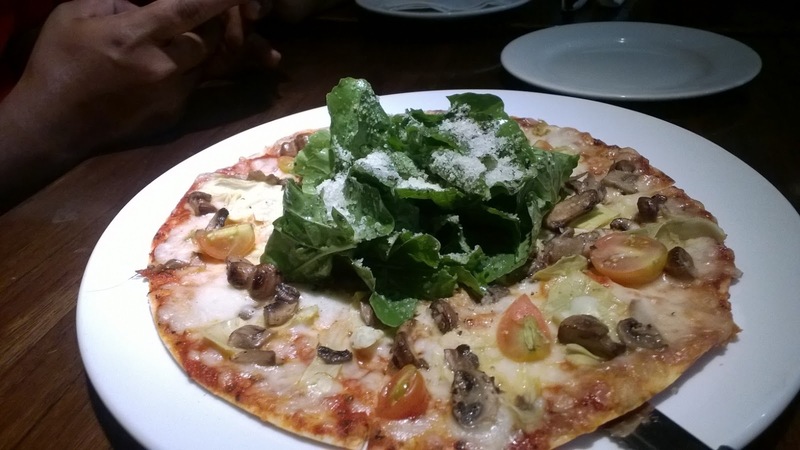 Actually every pizza is different and has a distinguish taste, but Peri peri pizza was a delightful change from the pizza’s served during the night. 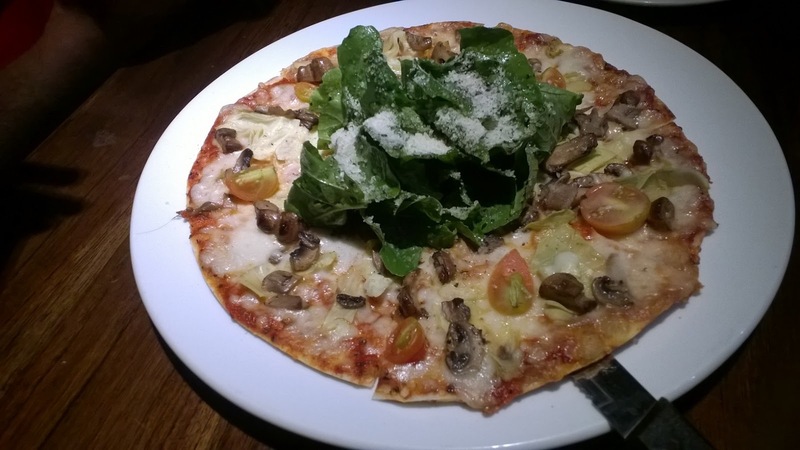 The last one was Verdure pizza, I was very hesitant to try this one as it was topped with arugula leaves, olive oil and parmesan cheese with some exotic vegetables on homemade pizza sauce. As you know arugula leaves are bitter and I did not want to try it after an awesome peri peri pizza. But to my surprise, I liked it as the entire bite of the pizza actually balanced the taste and it was truly different. 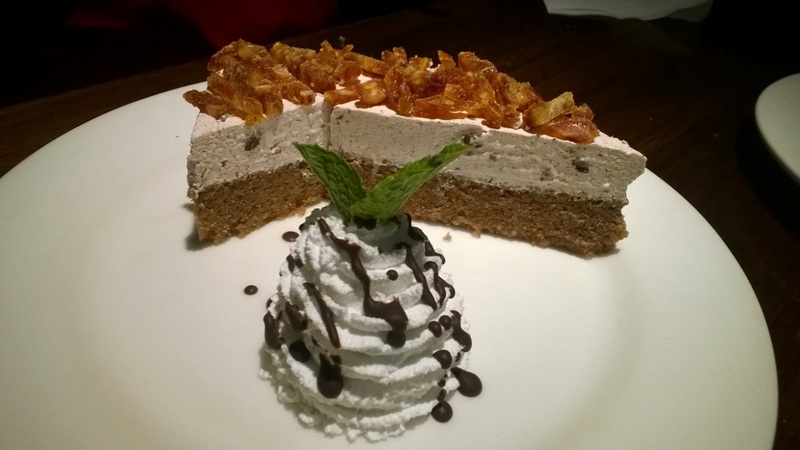 Time for desserts, which one shouldn’t ever miss at CPK. The festival menu had 3 desserts at offer. 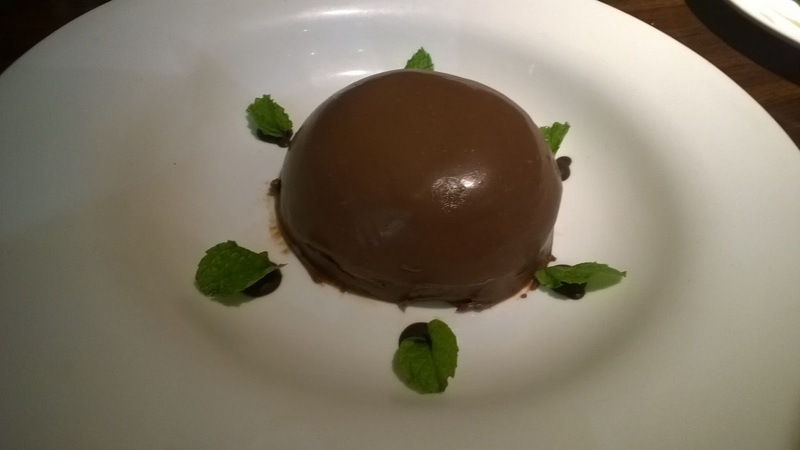 First was Banoffee bombe which was the best dessert of the night. One shouldn’t miss it and I hope they get this on the main menu as it is irresistible. 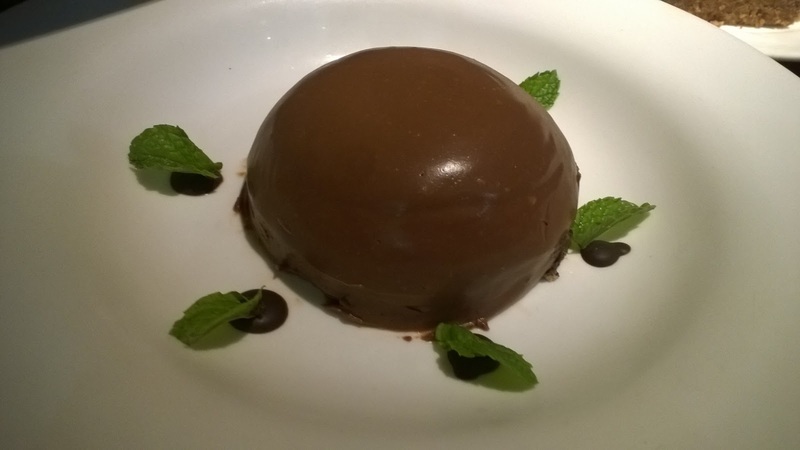 Some more presentation on the banoffee bombe could just add to the delight. Second was Epiphany, a moist cake with californium almonds, topped with dates and whipped cream and chocolate fudge sauce. This did not live up to the expectation, it basically did not have any taste, till the last bite I was figuring if the entire cake had any taste or not. 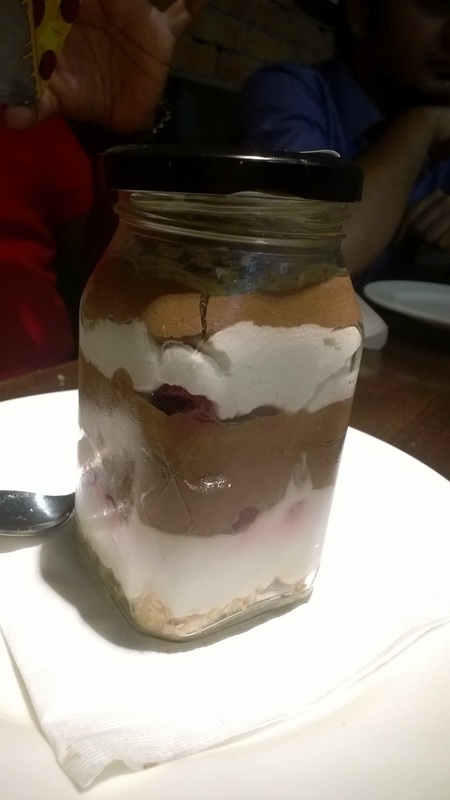 Last was Enigma, which had multi layers of mascarpone cream, sour cherries, silk dark chocolate mousse and crispy granola served in a jar. This dessert was sweet and the sour cherries and crispy granola in between broke the monotony of sweetness. 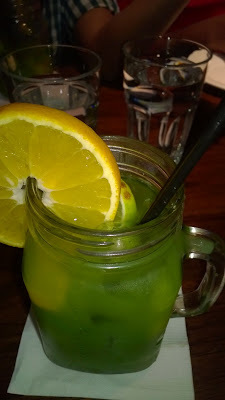 It was a refreshingly different dessert.